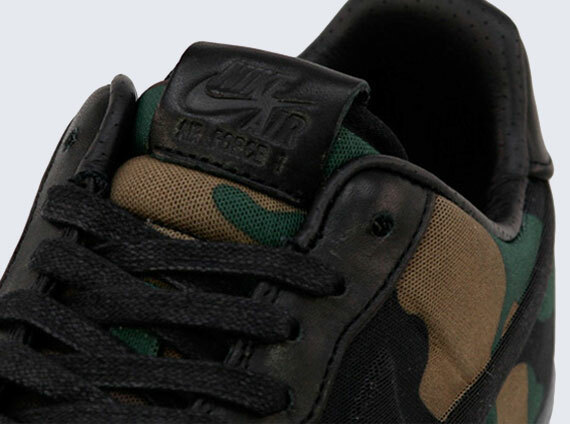 Easily one of the most anticipated Air Force 1 releases of the year, today brings us a detailed look at the upcoming "Camo" Air Force 1 Low Max Air VT. Releasing in limited quantities next week, the Air Force 1 Low Max Air VT displays a traditional Army fatique print throughout the upper, working together with black accents throughout. The Air Force 1 upper is constructed with Nike's innovative "Vac-Tech," eliminating stitching and multi-layers from the Air Force 1 Low's classic silhouette. A 360 Air bag is also implemented into these, making for one of the most comfortable Air Force 1 Lows to ever release. The "Camo" Air Force 1 Low Max Air VT QS will release in limited quantities next Friday, April 20th at select Nike Sportswear retailers nationwide.